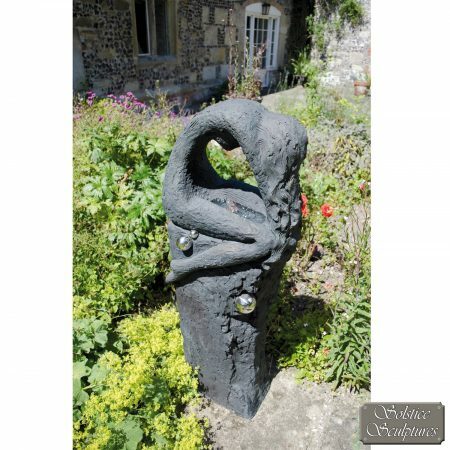 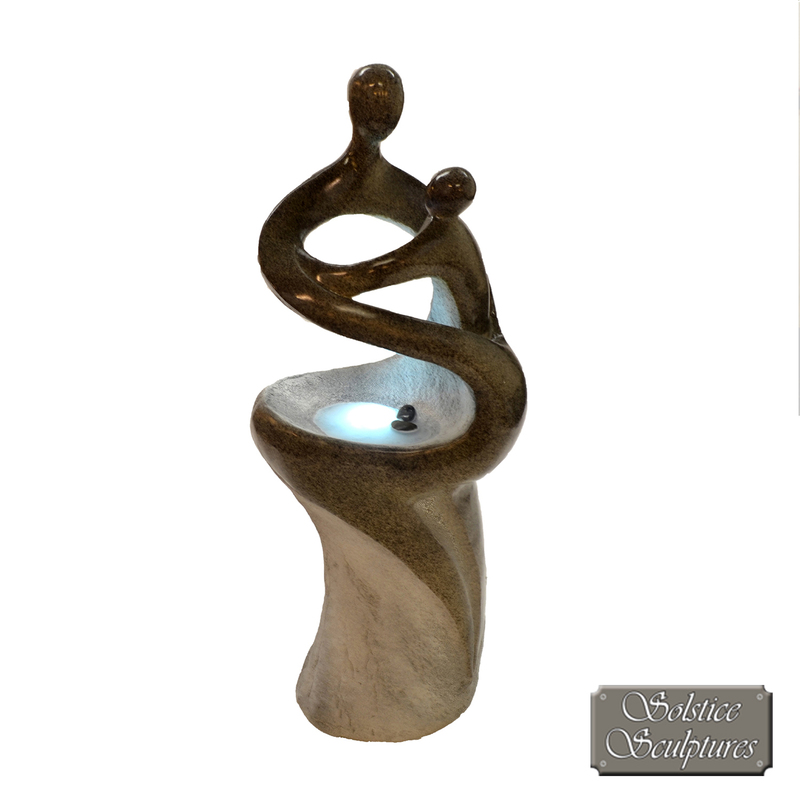 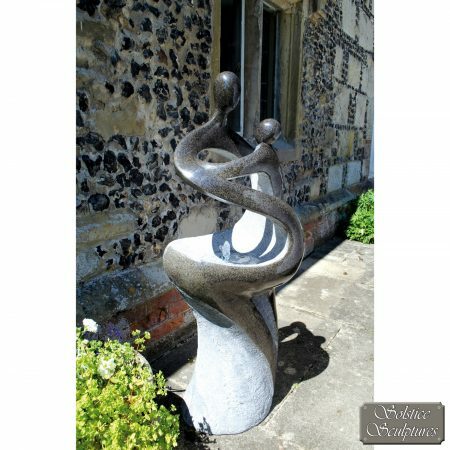 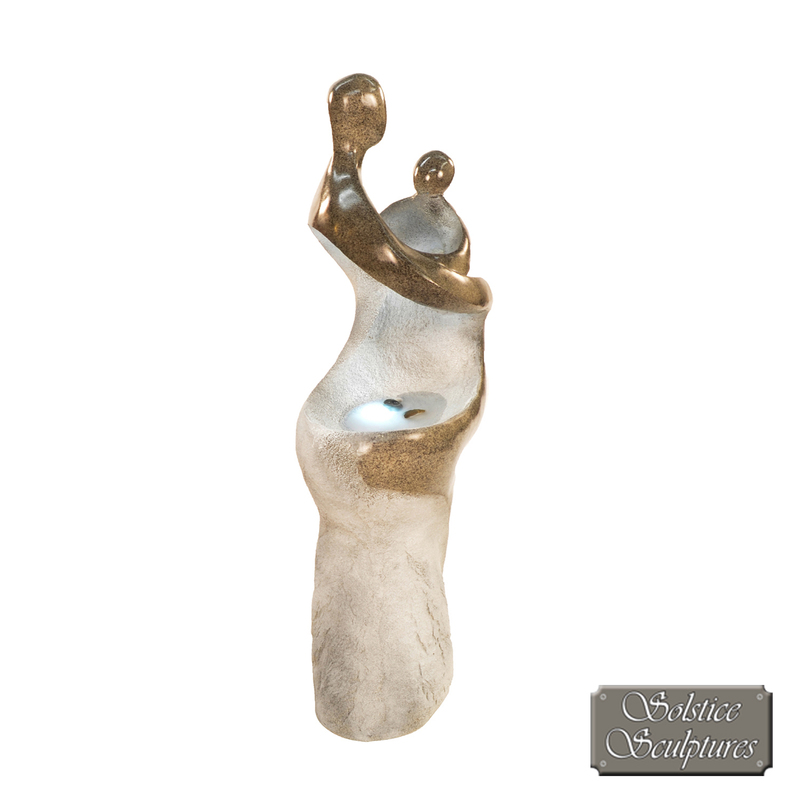 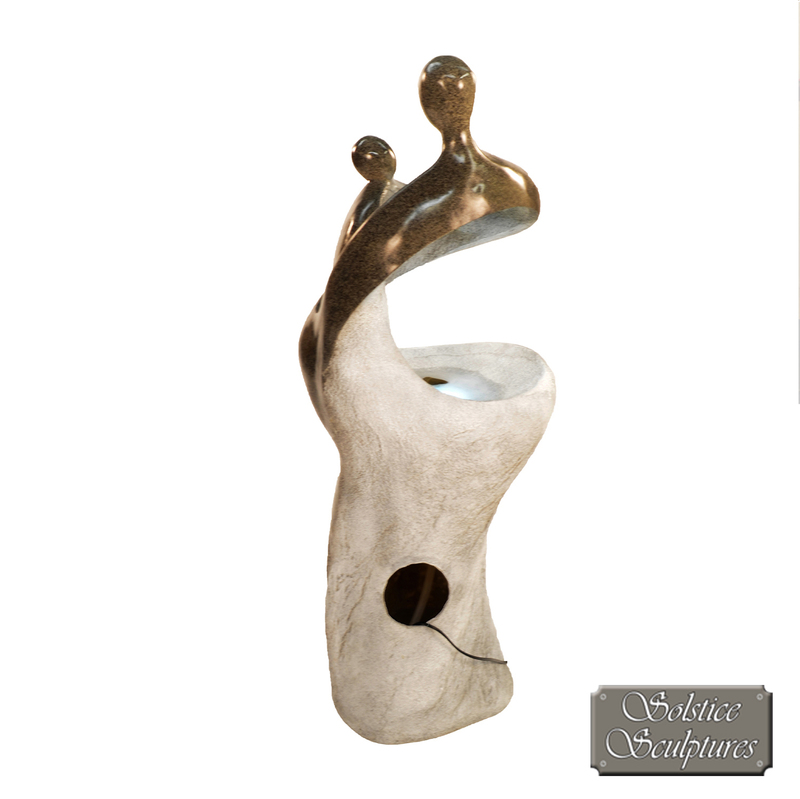 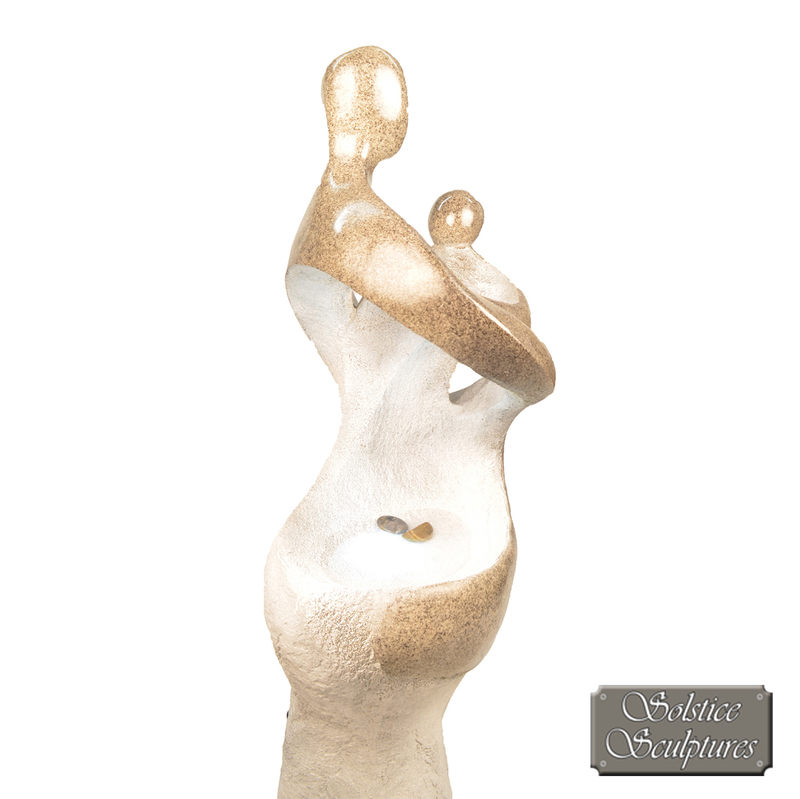 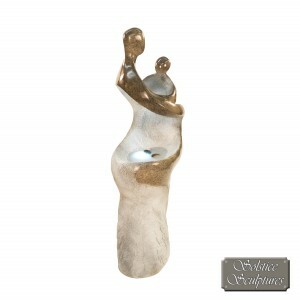 Representing a parent with child the Inga is a wonderfully crafted poly-stone water feature with an LED light making a superb display in the dark. This is also supplied with a UK specification pump. A contemporary water feature representing a parent with a young child. The child looks up with love, wonder and hope at it’s parent who looks upon the child with love and pride. 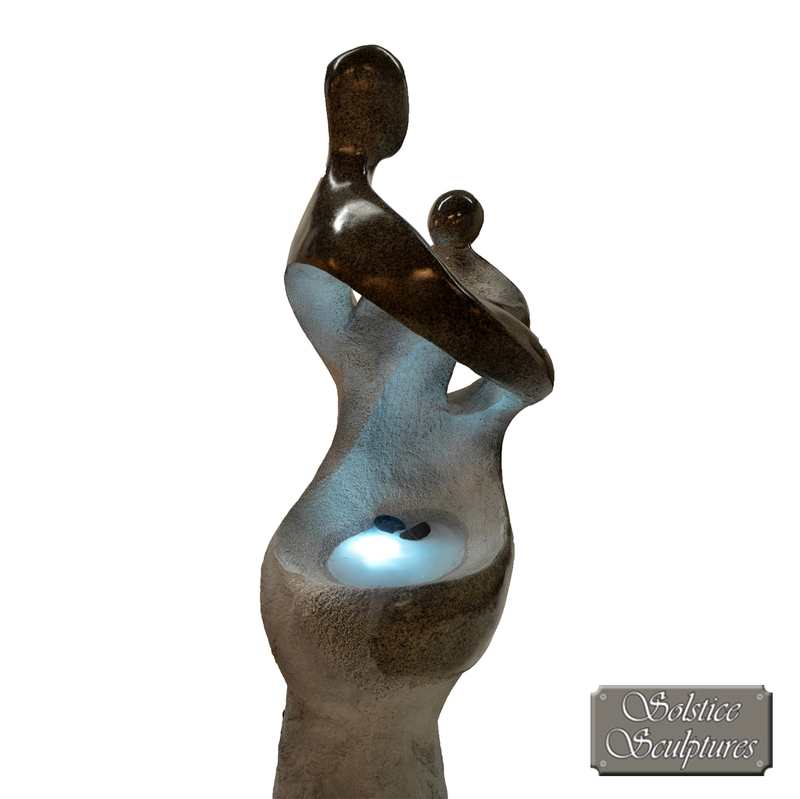 Embraced by the parent and child the water bubbles up and is lit with a soft LED light. 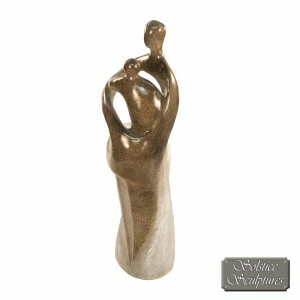 This water feature makes a wonderful gift.